Part of classroom management is time management– ensuring that your students have the time they need to learn and complete tasks without wasting time. Over the past couple of years, I have been using this #teacherhack to keep my class running smoothly. Set Silent Alarms. The best thing I did was set silent alarms for 2 minutes before the bell rings at the end of each class. You know that it doesn’t matter what you do- if the bell rings, the students are done with your class. By setting a timer, you are making sure that your students hear your final instructions and you are giving them time to clean up and put away materials and papers. We want our students to be organized, right? So, we need to give them a little bit of time to put that homework paper in the right place in their binder if we want them to find it later. You know you’ve seen it: students rushing out a classroom door, leaving behind a mess or important papers that they need, all while the teacher yells, “Don’t forget…!” Giving students just a little time and enforcing that they use it wisely not only helps us, but it helps our students be more organized and better time managers themselves. The best thing I love about silent alarms is that they are silent. If you set an alarm that students can hear, you may as well have rung the bell. They will be conditioned to pack up and talk as soon as they hear it. 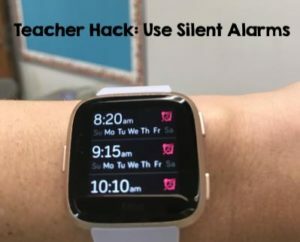 With a silent alarm, you are made aware of how much time is left, but you can still have your students working or listening until you are ready for them to stop. I’ve had my silent alarm go off right as a student was making a great point to her classmates. Of course I let her continue. There was so too learning happening! Using an audible alarm would have interrupted the moment and, even if I told the class to keep listening, the learning would have stopped and the student would have been disrespected. Here’s what I do. When the alarm goes off, I tell the students any final instructions or reminders and then ask them to get their things together. 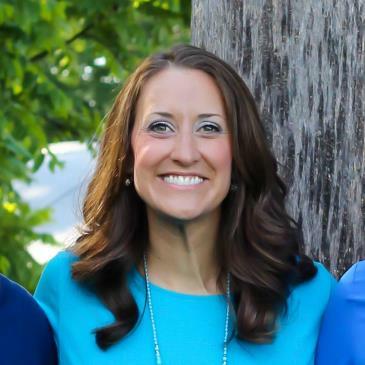 During this time, they know they can return their calculator, hole-punch their papers, sharpen their pencil, turn in anything, pack up their books, or return any other items that they used or borrowed. My rule for them is that once they have gotten their items together, they need to sit back down. This allows me to see that all materials are returned and there are no papers “accidentally” left on the ground. It also keeps students from simply using these extra minutes to just get up and talk instead of taking care of business. Another rule I have is that students can’t leave the room until I dismiss them. If everything is where it should be, I’ll tell students that they may go when the bell rings. However, if there is something out of place, I will ask them to clean it up or find whatever’s missing before they can leave. It doesn’t take long for students to realize that they can’t get away with wasting the time I give them. I currently have a Fitbit Versa, so I am able to set alarms and timers on the watch itself. I used to use alarms with a Fitbit Alta. You can find out how to set silent alarms by clicking here. Use timers. Time can definitely get away from you in the classroom if you let it. You can also use your Fitbit to set timers throughout class. I do a lot of group work and rotations in my classroom, so using timers is helpful to keep me and my students from wasting too much time. Although sometimes a visual timer is good to keep students aware of how much time they have, a timer they can’t see if often better for smaller chunks of time. I’ve found that when students are rotating around in stations, I can’t get a feel for how long they need unless I use a timer. If I don’t time them, I’m inconsistent with how long I give them and sometimes they end up not getting finished while other times they have been finished, waiting, for several minutes. 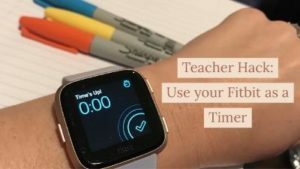 Just like with the silent timers, you’re the only one who knows when time is up, so if you see students need more time, you can always let them keep working and adjust the next timer accordingly. You can time students during bell-ringers (5 minutes), think time (2 minutes), turn and talk time (2 minutes), group work (10 minutes), transitions (1 minute), clean up time (1 minute), independent work (15 minutes), and more. The more aware of time you are, the less distractions can steal your precious class time from you. If you’ve got other tips for time management in the classroom, leave a comment and let me know. Hi! I'm Jennie. I live in Kentucky with my husband and two daughters. I have been teaching middle school math for 15 years. I love helping other math teachers by sharing ideas and resources!